He’ll be best remembered for his concept of the wash-and-go approach to hair care: A cut so simple and so good that it required little maintenance. Clean geometric lines had been Mr. Sassoon’s driving motivation since opening his first salon in London in 1954. At the time, most women were resigned to going to bed at night with rollers in their hair. His approach grew into a direct assault on the beehive style and other formidable towers of hair seemingly shellacked with hairspray. In 1957, he launched a fruitful collaboration with British clothes designer Mary Quant, the widely acknowledged “mother of the miniskirt.” In the bob style he perfected for Quant — who wanted her models’ necks and shoulders bare — Mr. Sassoon crafted a look that was tight at the nape but allowed the hair to fall in a flirty, bohemian cascade. 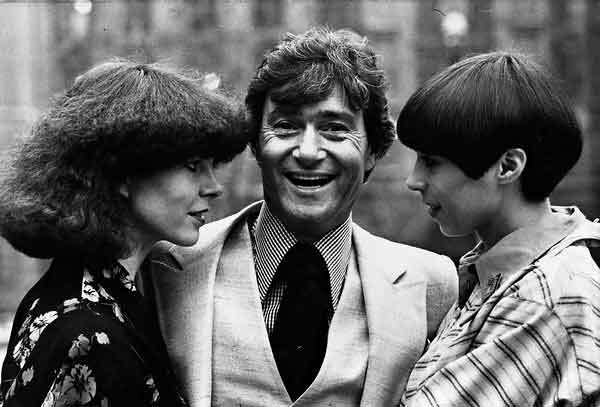 The “Sassoon bob” became the rage of Swinging London and one of the most enduring hairstyles of the last half-century. 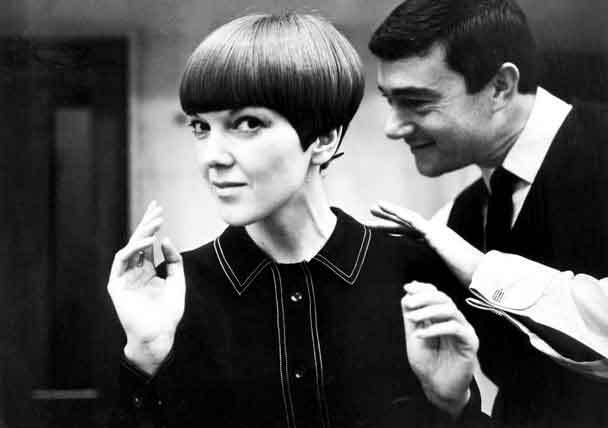 Variations on the bob included the popular “five-point” cut first modelled in 1963 by Grace Coddington.